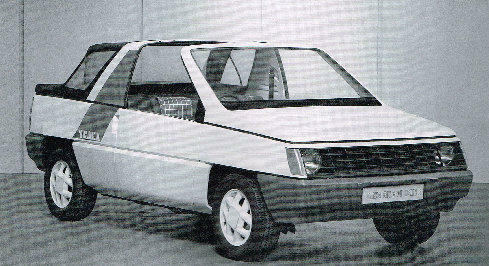 Based on the floor plan of the Cavalier the Traka was a concept vehicle that never got past the concept stage. Suzuki’s Mini 4x4 and other Japanese fun 4x4 model’s entering the market in the late 1970’s early 1980’s Vauxhall explored the possibly of producing this models to compete. It was designed to compete in a number of market areas. As well as the model above a 4x4 vehicle and a van were also being considered. However production was never granted and the idea’s put to use in other areas.